Join the Brewers of Indiana Guild for the return of its spring beer fest, featuring hundreds of beers, local food, and more at Historic Woolery Mill. Choose from hundreds of beers to sample from 50+ Hoosier breweries at beautiful Mill Race Park for the return of this great beer fest. Join now for members-only benefits including exclusive access to one-of-a-kind collaboration beers made by Indiana breweries. Membership is available for Brewery owners and operators. There are many reasons you should join and support the Guild. Beer enthusiasists should consider joining the Indiana Beer Brigade for exclusive taps and events. Download the Drink Indiana Beer App for your next cross-state trip. Bloomington Craft Beer Festival returns to Historic Woolery Mill on 4/20. New arrivals in shirts, tees, hats and and more. 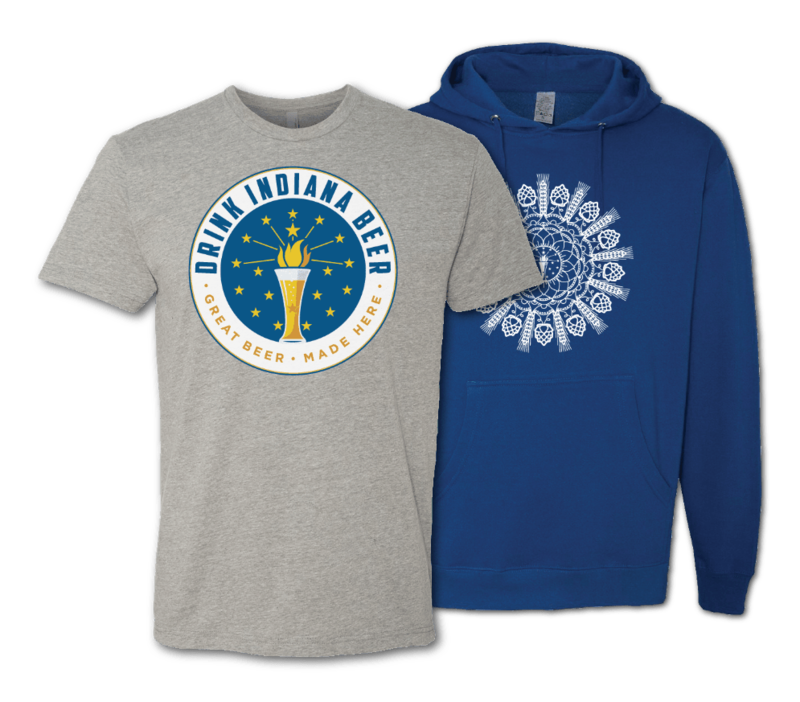 Exclusive to the Brewers of Indiana Guild Store. Hoosier breweries consistently rank as some of the best in the world at prestigious competitions like Great American Beer Festival and the Brewers' Cup.